For as long as I can remember, I’ve loved planning events. As a little girl, I planned fashion shows and elaborate weddings for my Barbie dolls. Helping plan my daughter’s wedding was especially exciting. Although our budget was comparatively small, we squeezed every penny to create a beautiful, memorable day. Nowadays, it isn’t enough to slap a few homemade signs in the window and call it an event. A successful consignment store event takes some serious planning and a whole lot of buy-in from your staff. 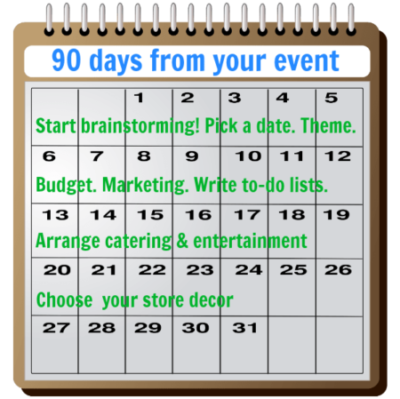 It sounds obvious, but you’d be surprised at the number of store events that happen without proper planning. Yes, you have a purpose. Whether it’s to build your brand, reward customers or celebrate a holiday, you still need a plan. Sit down with a calendar. Pick a date. Choose a theme. Create a budget. Decide your marketing ahead of time. Read How to make shoppers happy with simple resale-tainment. 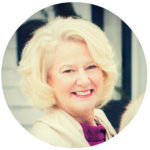 Ideally, you should have a 30/60/90-day planning timeline that you can give your sales team and managers. If your sales staff isn’t committed to the success of the event, give it up. 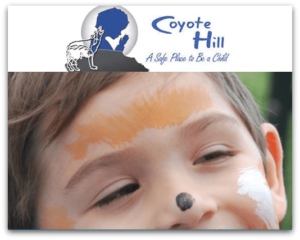 Make them a part of the planning process. Brainstorm with them. Consider a contest for individual employees or your staff as a whole. If the event is a success, they’ll reap some benefits too. A truly memorable consignment store event includes enthusiastic salespeople who are having as much fun as your shoppers. Setting your budget at the beginning keeps everything in perspective. Factor in employees, marketing, refreshments, decorations, special giveaways, etc. If you’re hosting the event at a time you’re not usually open, consider additional items such as heat/air conditioning, lights, trash and plumbing. Don’t skimp on your event budget. Customers know the difference between a well-budgeted event vs. a cheap one. Do it right or don’t do it at all. Now’s the time to clean, paint and reorganize your store. Always “put your best foot forward” when hosting a consignment store event. Clear out the cobwebs. Dust the light fixtures. Remove the sticky notes from your cash register. Make sure your store is clean from the inside out. By reorganizing, your store becomes a whole new destination. 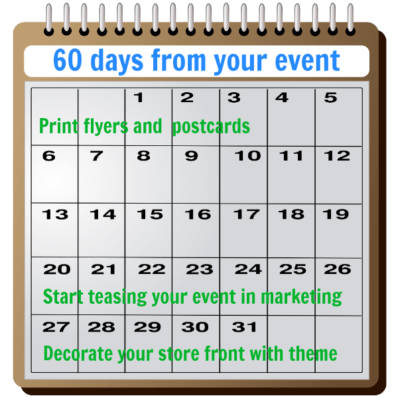 Building anticipation will keep your event front and center in the minds of your shoppers. Tease with emails giving hints of what’s to come. Create a pre-event contest and announce the winner on event day. Tie in with a local celebrity. 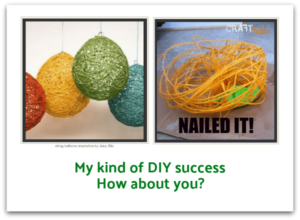 Give shoppers hands-on activities to do. Let customers see the exciting merchandise you’ll be giving away. In addition to sending emails and stuffing shopper’s bags with flyers, get creative. Build a landing page on your website with a countdown calendar. Choose your #1 customer and reward them with a photo shoot that promotes the event. Add some curbside extras like sandwich board signs or chalk art. Buy your staff T-shirts with the event logo on them. Create Instagram Stories that give behind-the-scene preparations for the big event. Create a special hashtag. 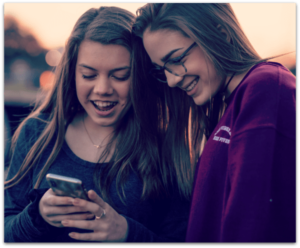 Read Are you using consignment store hashtags correctly? Even though your event should get attendees shopping, refrain from pushing merchandise. 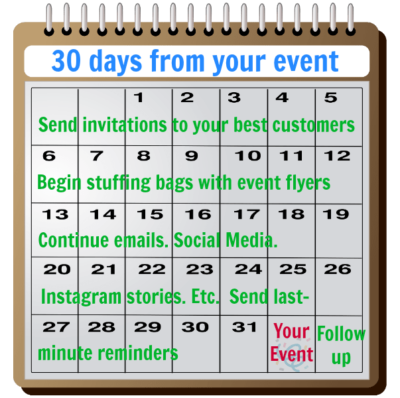 Look at your event as an investment in future customers. The goal for your staff is to become a friend rather than being a salesperson. Enjoy the day. Mingle with event goers. Gather as much information as possible on everyone who attends. Hire a photographer. Use music, food and activities to create a fun atmosphere. People will remember you for the experience not the great deal that got on a sweater. Immediately following the event, keep your attendees updated with fun photos of your crowded shop. Include a thank you to those who participated and pictures of any prize winners. Ask customers to tag themselves in your photos or encourage them to post photos of their own from your store event. Read Customer content is the best way to promote yourself. Get as much feedback as you possibly can. Don’t be afraid to ask if shoppers liked the prizes, discounts, food, entertainment, etc. 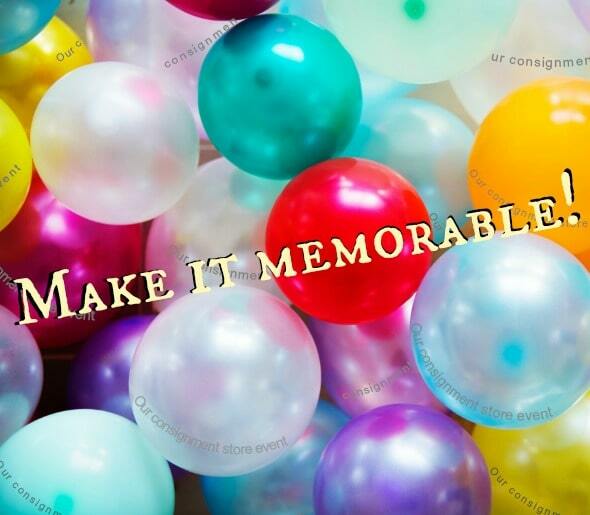 Find out as much as you possibly can so your next consignment store event will be even more memorable.